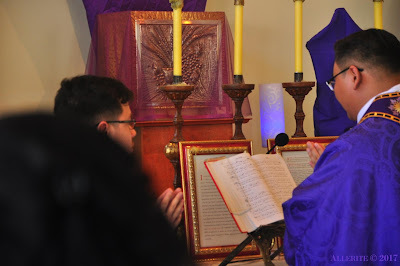 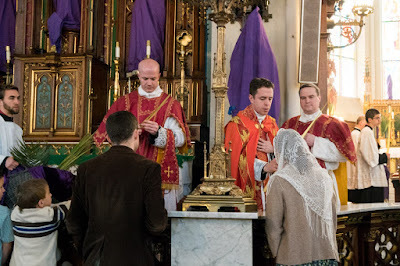 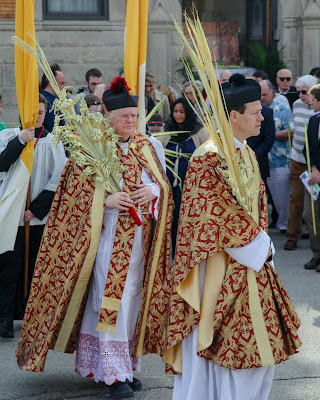 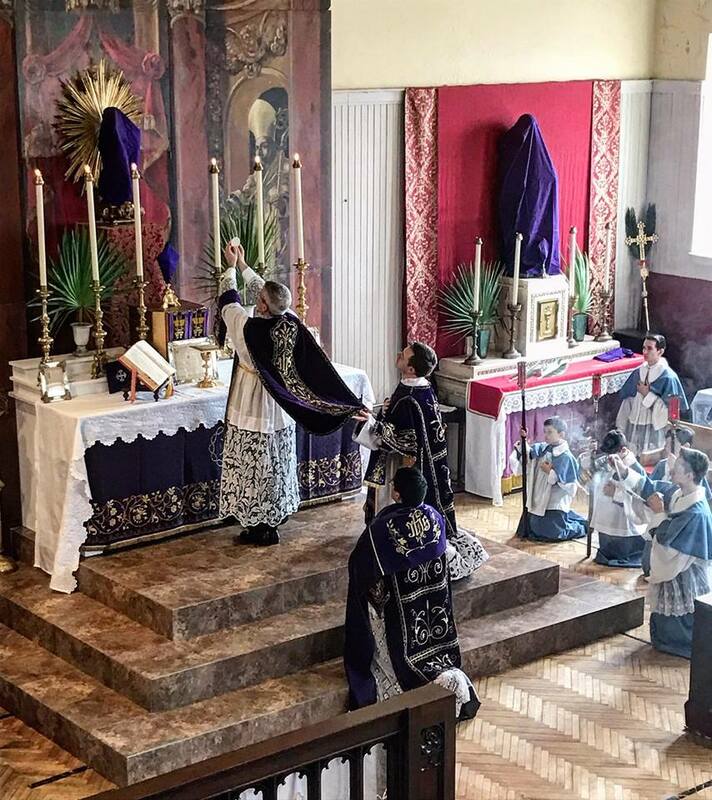 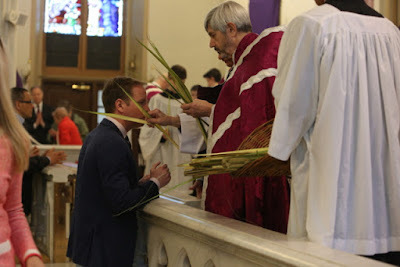 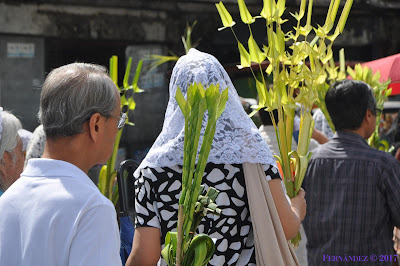 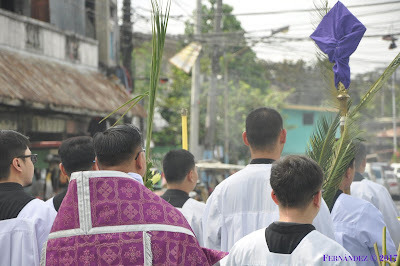 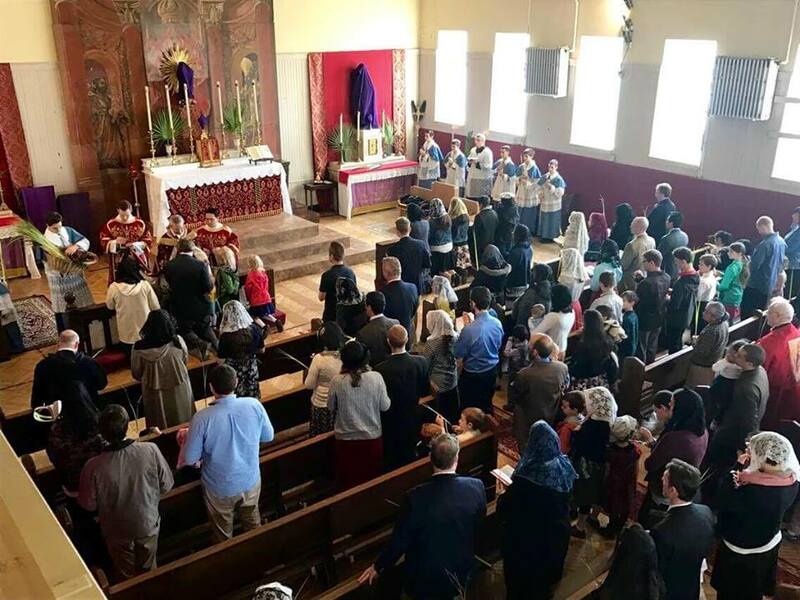 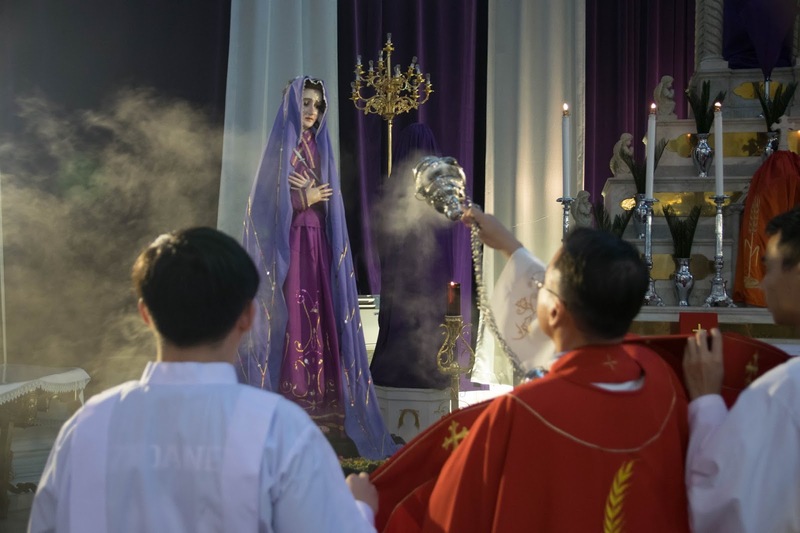 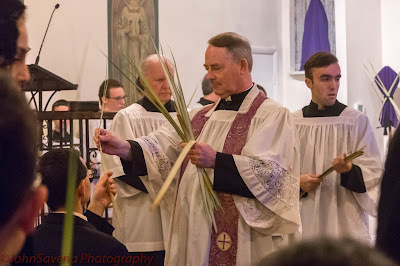 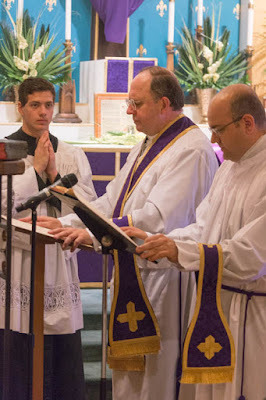 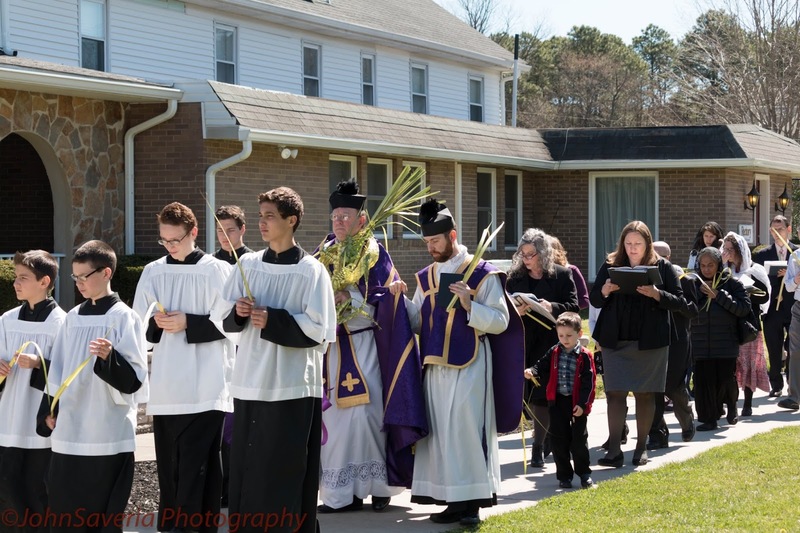 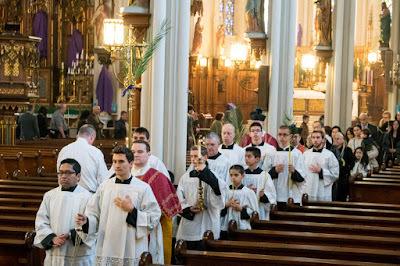 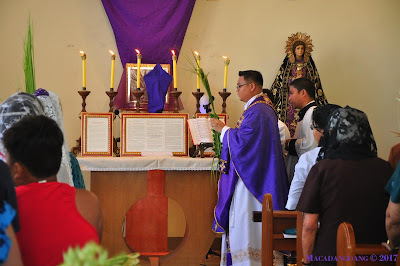 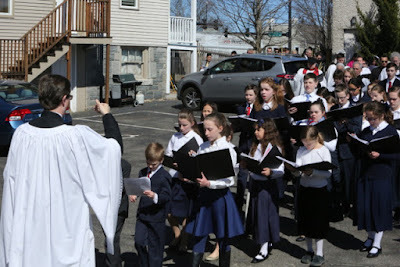 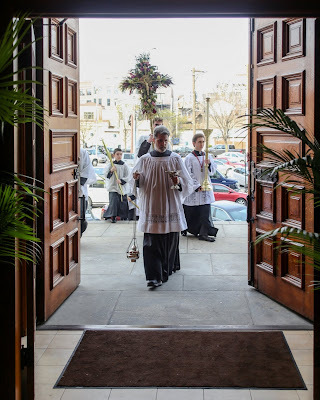 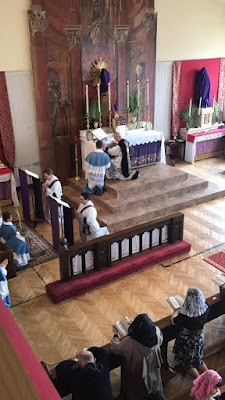 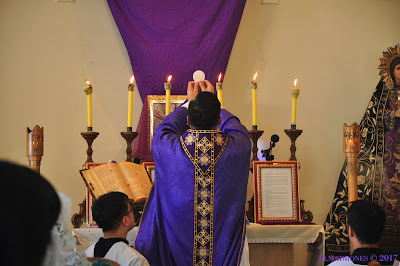 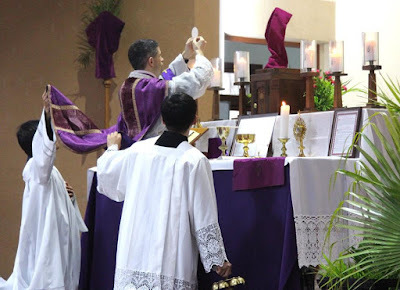 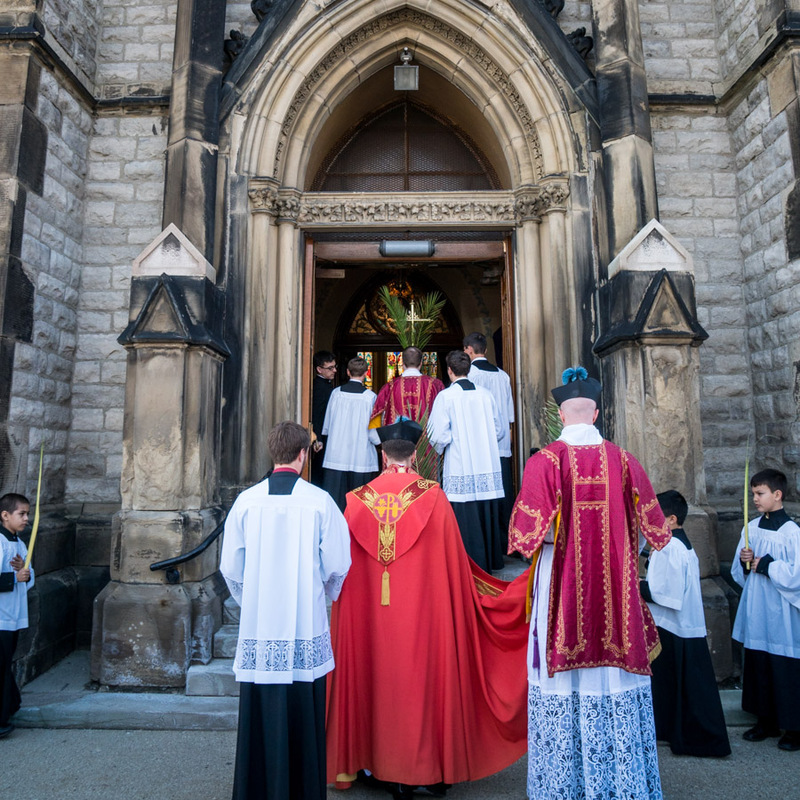 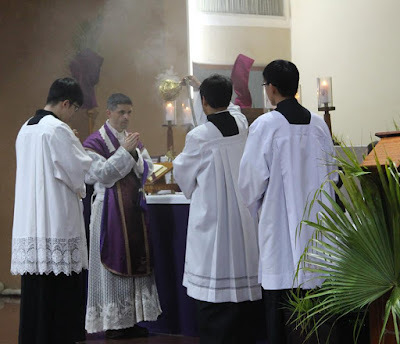 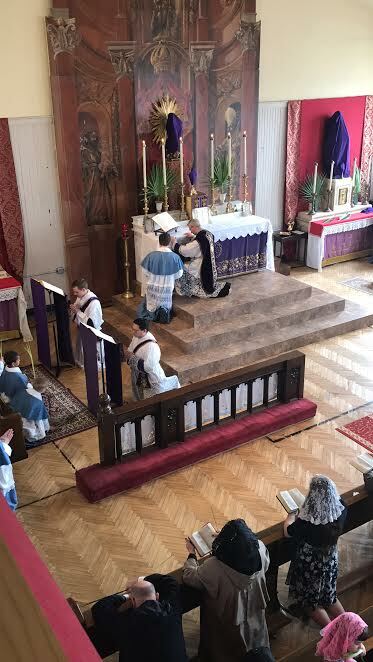 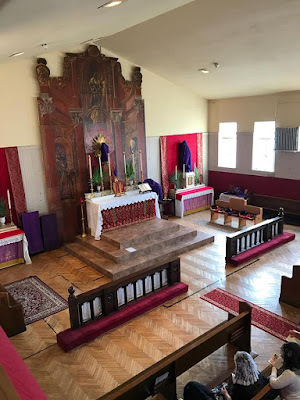 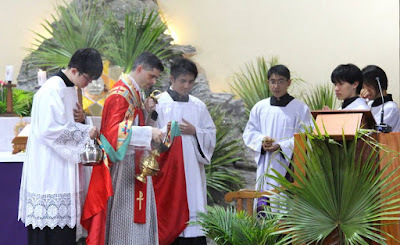 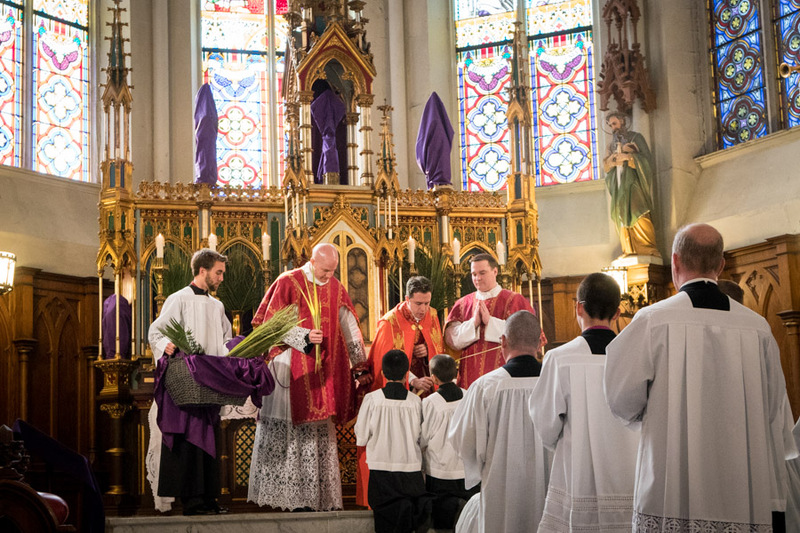 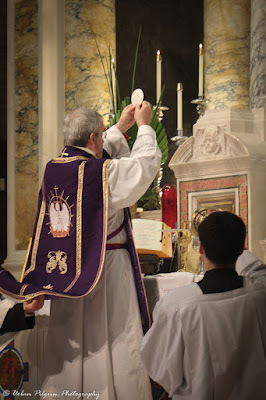 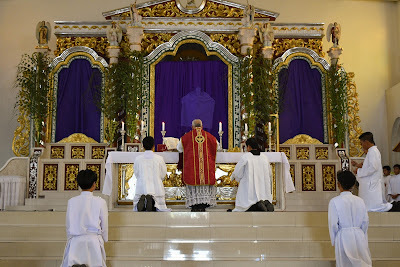 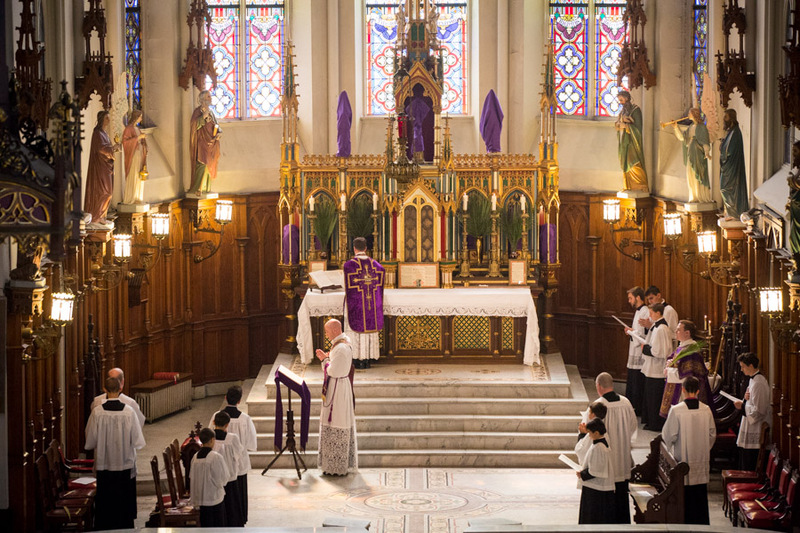 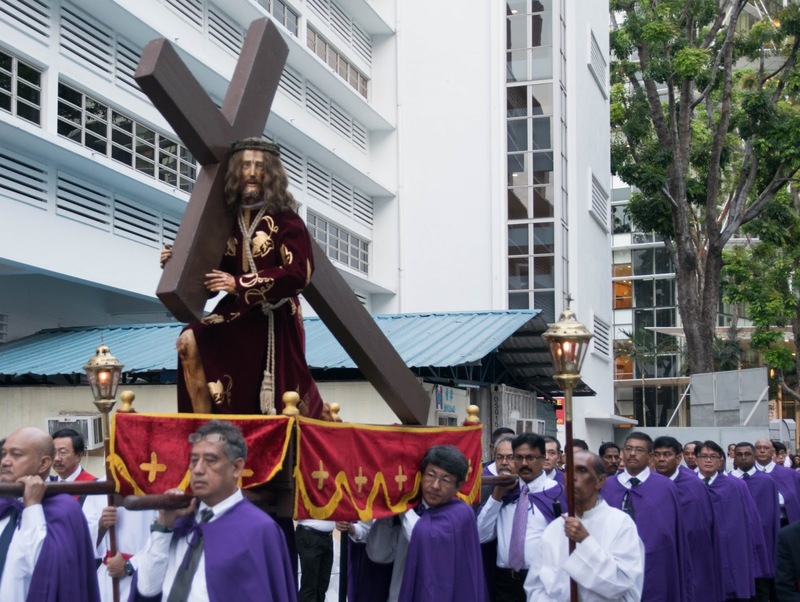 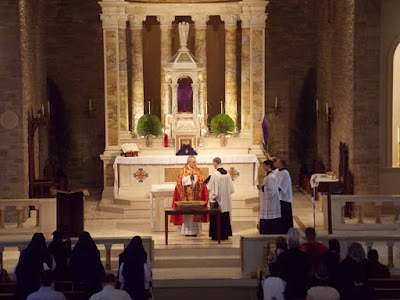 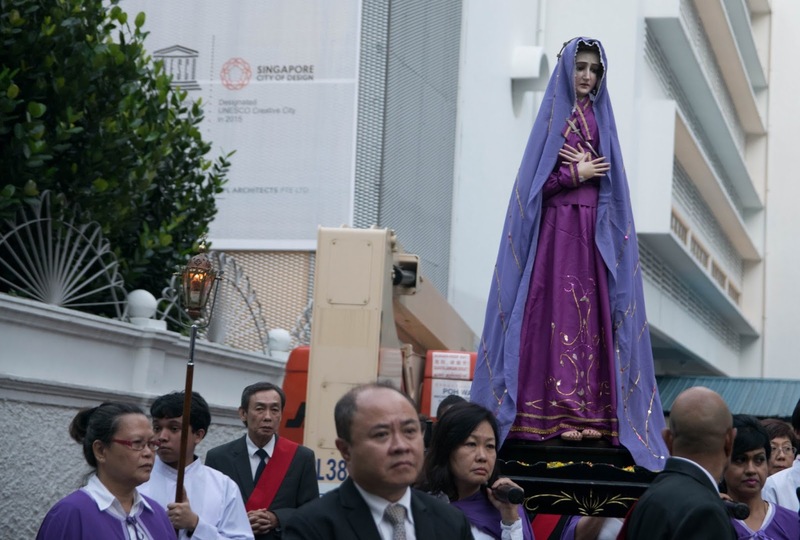 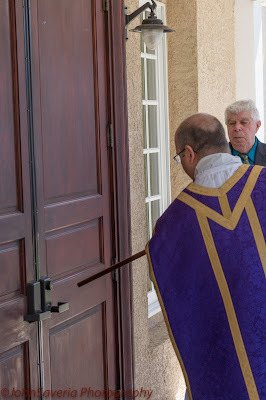 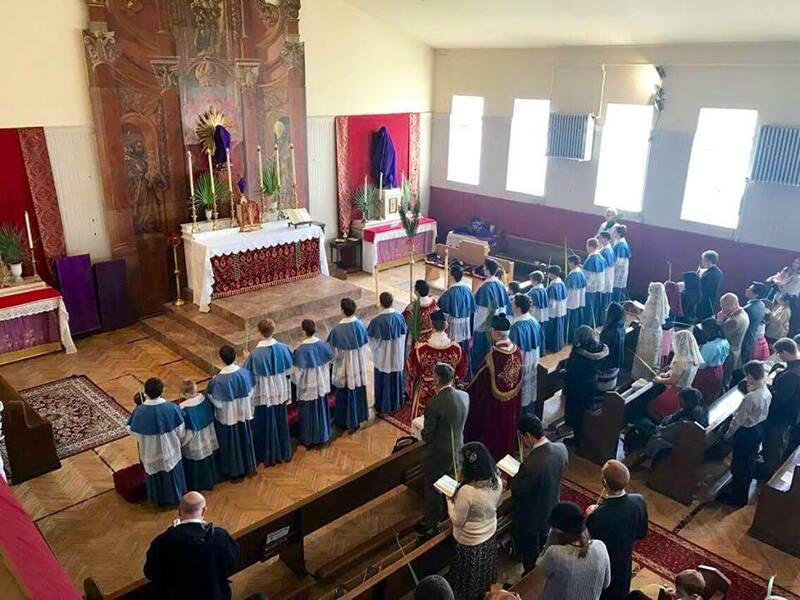 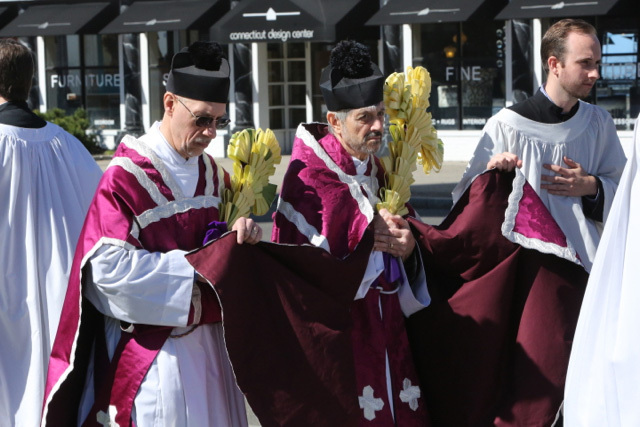 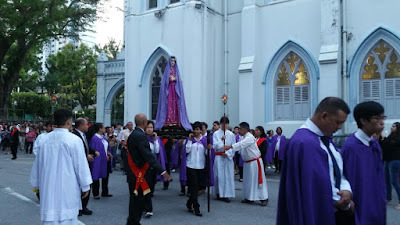 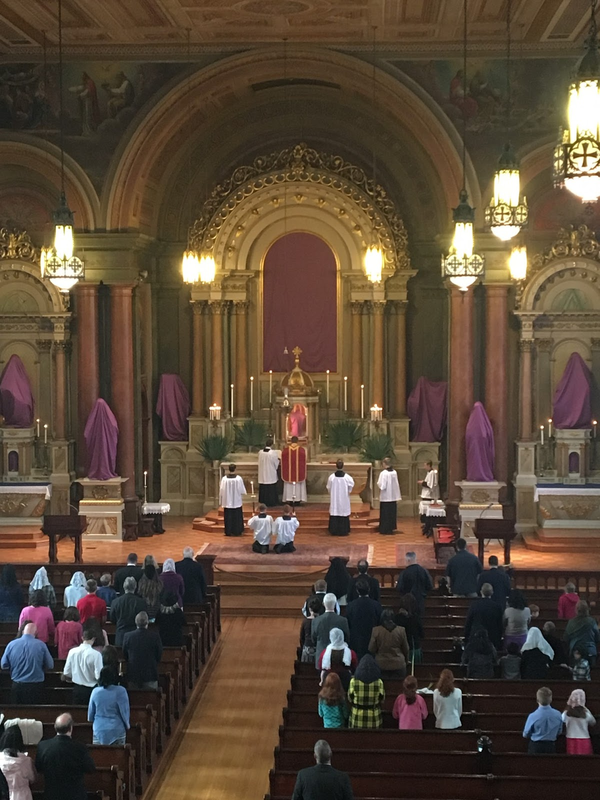 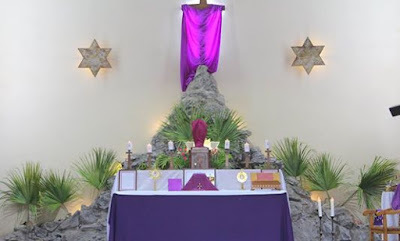 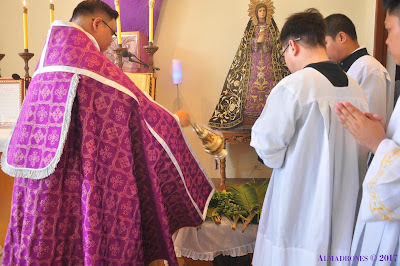 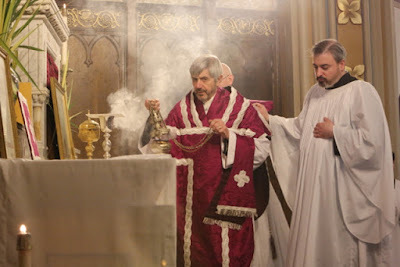 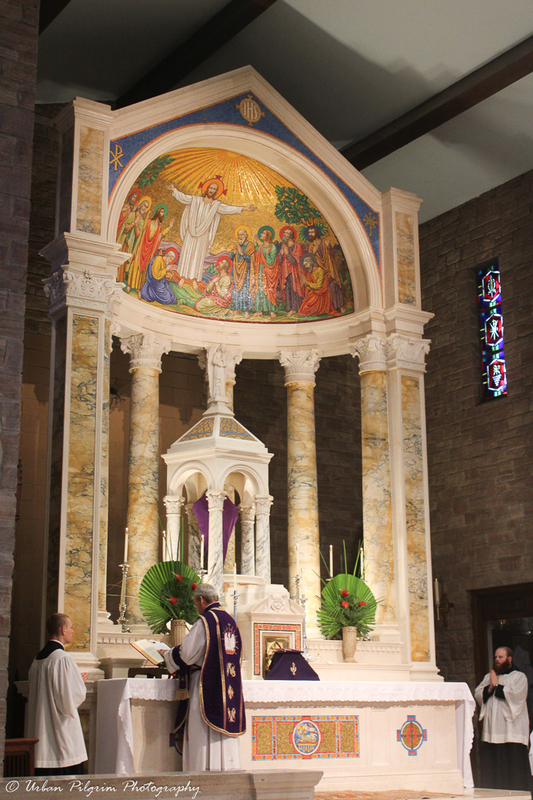 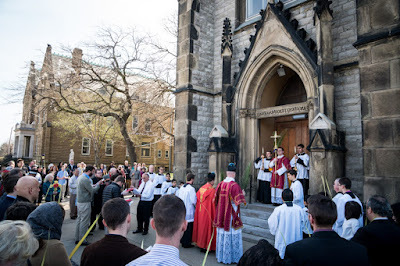 Our second of photos of your Palm Sunday liturgies, including three sets from the Philippines, and a procession in Singapore with statues of Christ bearing the Cross and Our Lady of Sorrows. 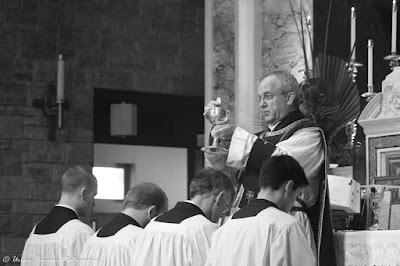 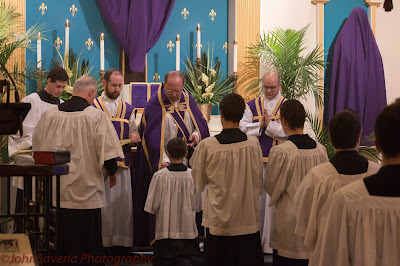 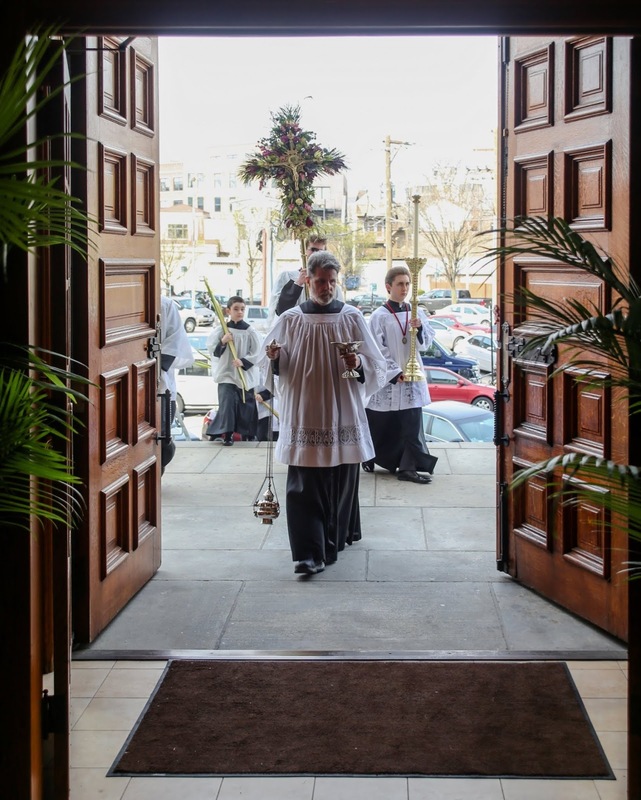 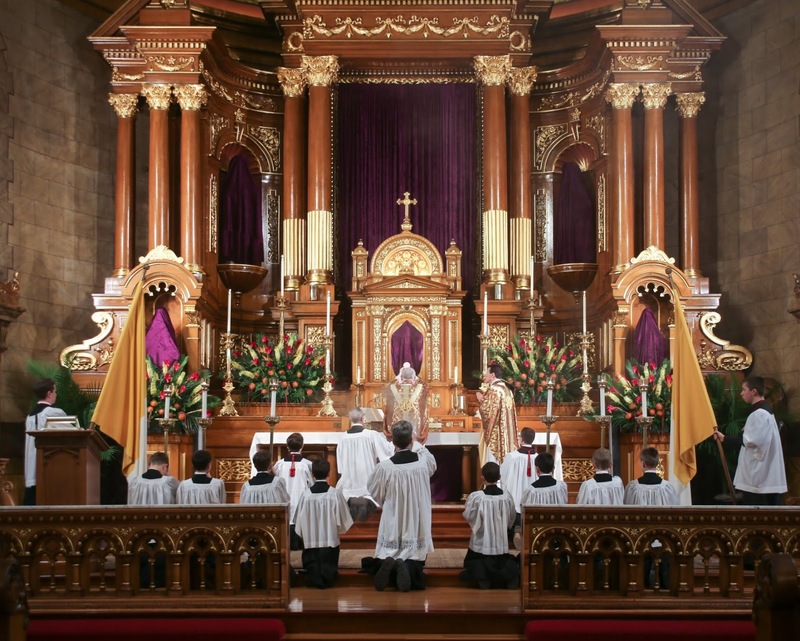 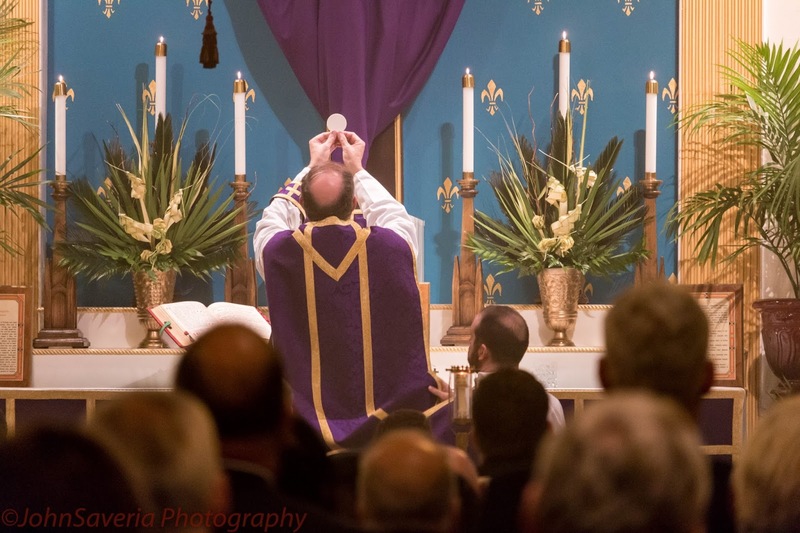 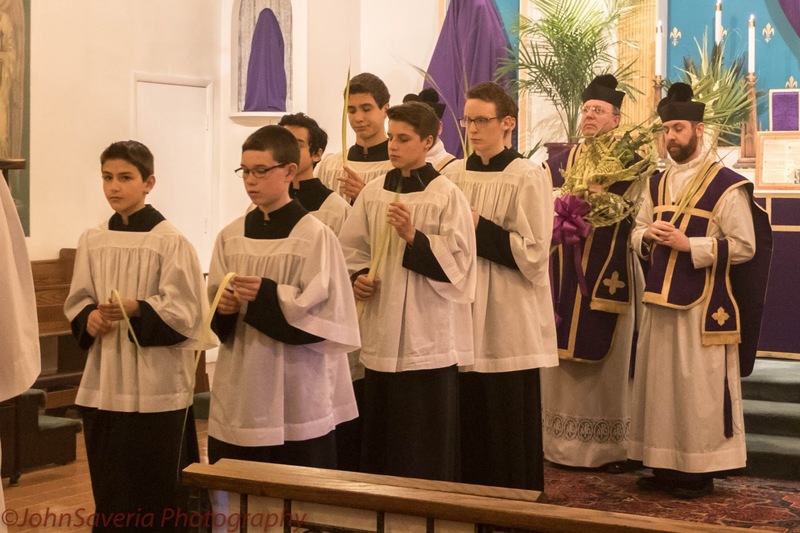 We will continue shortly with our series of Holy Week photoposts; click here to go to the Dropbox links for submitting your photos. We wish all our readers a most blessed celebration of the Sacred Triduum. As we accompany the Lord in His Passion, let us remember those Christians who suffer persecution for the sake of His Name, and especially the families of whose were killed in Egypt on Palm Sunday. Procession of Christ the Nazarene and Our Lady of Sorrows after evening Mass on Palm Sunday. This devotional practice was introduced by the Portuguese missionaries who built the church in 1853), and has been faithfully carried out every year to this day, even after the missionaries left in 1999. 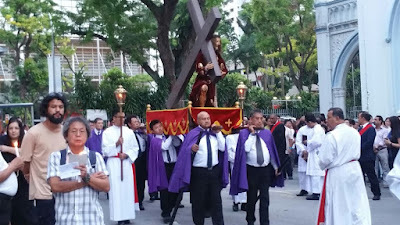 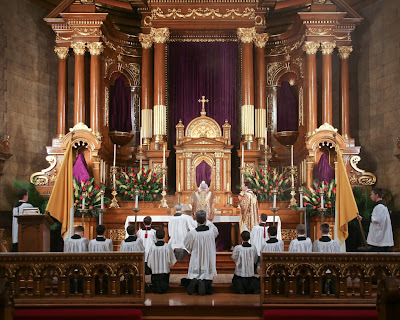 Other Holy Week traditions that are particular to St Joseph’s are the washing of the body of Christ on Good Friday, the ceremonial un-nailing and the procession of the dead Christ on Good Friday evening, following which the dead Christ and Our Lady of Sorrows are venerated till midnight and the next dawn till noon. 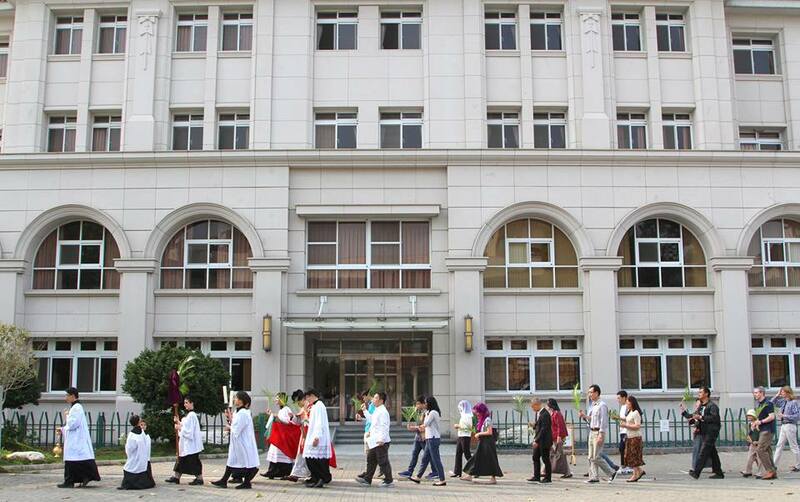 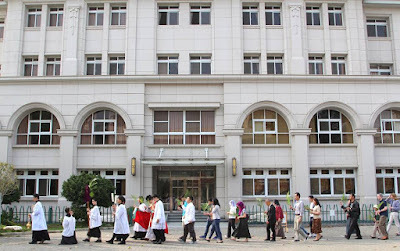 Visitors come from parishes all over Singapore to participate in these devotions.